Thanksgiving is this Thursday, meaning you’ve got loads of traditions to continue this week. We’ve uncovered the history of the the strongest traditions surrounding the holiday—the American Thanksgiving plate. Plus, we’ve included some delicious recipes to inspire and strengthen the traditional feast you already create. Thanksgiving is all about giving thanks. It’s about family and friends and shamelessly celebrating the good things in your life. My family does the rather cliché, but absolutely heartwarming practice of going around the table and saying what we’re grateful for. Every year, this is my favorite part. 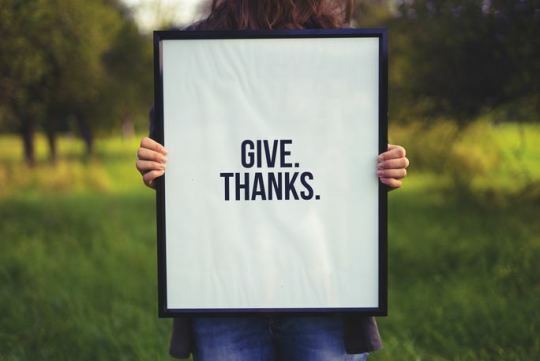 It’s a cliché practice for a reason, and that’s because Thanksgiving is, at its core, about gratitude. If giving thanks is the heart of Thanksgiving, then traditions are its backbone. It’s the one day of every year that the whole nation unites in a sort of same-tradition-celebration. Families across America eat surprisingly similar things and do surprisingly similar things. Your day probably includes a family gathering, heaped plates of delicious and very specific foods, Macy’s Day parade, a football game, and wishbones. Mine certainly does. With Thanksgiving literally around the corner, I’m sure you already have your meal planned out (and if you’re like my family, it’s been the same meal for 30 years), so rather than trying to redefine your meal, we’re letting you in on the behind-the-scenes of the Thanksgiving plate. We’ve done some research on the history of the traditional foods, so you know just what you’re embracing this Turkey Day. I suppose the biggest tradition of the Thanksgiving feast is, well, the feast itself. The most common story about Thanksgiving’s origins is about the pilgrims. They arrive at Plymouth rock in 1620, and they’re absolutely starving. (Unfortunately, this is quite literal.) The Native Americans teach the pilgrims to fish, cultivate crops, avoid poisonous plants, and many other important skills. To thank the Natives for their help and celebrate figuring out how to survive on this new land, the pilgrims invite a group of Native American allies, especially those of the Wampanoag tribe, to a 3-day feast. However, there are two other claims to the first Thanksgiving feast. Texans say the first Thanksgiving feast was celebrated in 1598 by Juan Oñate and his 500 fellow travelers. The men survived a treacherous crossing through the Chihuahuan desert in Mexico. When they got to other side, they drank from the Rio Grande and devoured an elaborate feast. OR, there’s the claim that Pedro Menendes de Aviles is the original Turkey Day creator. He celebrated with 500 soldiers and hundreds of local Timucuan Native in an epic feast in 1565 in St. Augustine, Florida. This all being said, if we assume the first Thanksgiving is a time when a group of starving people finally get food and happily eat a lot of it (and give thanks for it), I’m sure there are a few historical options for its origins. In any case, the first official U.S. Thanksgiving was celebrated in 1775. By 1863, the holiday was an official annual holiday. Thanks, Abe. Historians have decided that there is no way turkey was eaten at the first Thanksgiving in 1621. In fact, it’s very clear that the pilgrims ate venison. So how in the world did turkey end up as the superstar on the platter? The truth is quite simple and unglamorous. One thing our family does every few years that keeps the excitement of the dinner alive, while rigorously maintaining tradition, is mix up how we cook the turkey. We’ve roasted it, smoked it, fried it, and tried various stuffings. 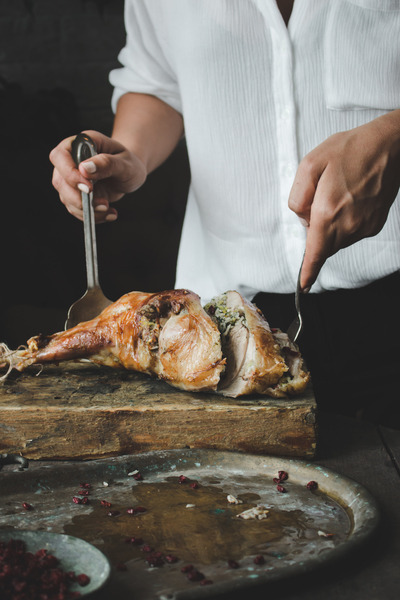 This year, add a little fun to your entrée with this Roasted Turkey and Thyme recipe. Then, complete the turkey tradition (and carry along the herb theme) with this divine Sausage and Herb Stuffing. Like turkey, this was also probably not at the first feast. Since cranberry sauce includes so much sugar, and sugar was a luxury item for a long time, the early settlers simply couldn’t have afforded it. However, there’s an account as early as 1672 of Natives and English using it in its classic pairing with meats. We know for a fact cranberries were part of the Thanksgiving meal in 1864. 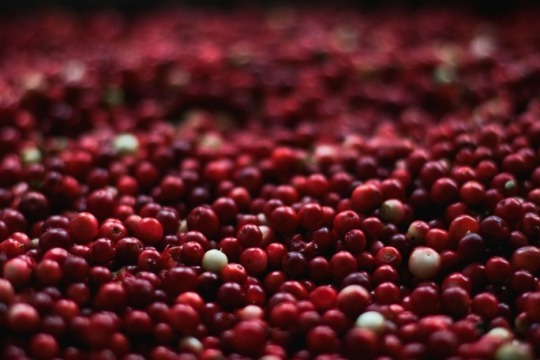 General Ulysses S. Grant ordered cranberries to be served to all soldiers as part of the holiday meal. But before this, we really have no idea when cranberry sauce became an integral part of the feast. This year, just take it the classic route—albeit the non-canned kind of classic. Here’s a recipe for the perfect Original Cranberry Sauce. Ah, the infamous side dishes. 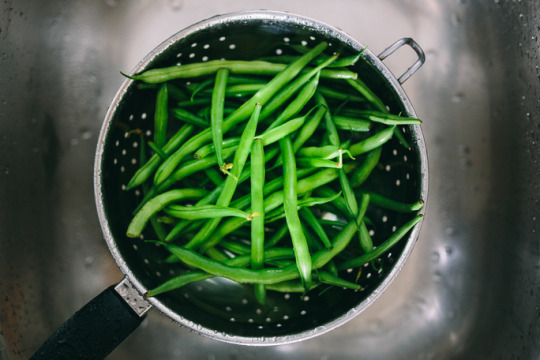 Green bean casseroles, candied yams, mashed potatoes and gravy…everyone serves their own version of these vegetables. Green bean casserole is a reliable Thanksgiving tradition. My family does its own version of this (i.e. we simply just roast green beans), so I didn’t know what made up the elusive green bean casserole until recently. For other not in-the-know, the basic components are canned cream soup, frozen green beans, and fried onions. It’s been around since the 1950s when home economist and Campbell’s Kitchen employee Dorcas Reilly devised, tested, and delivered the recipe into the welcoming arms of the American public. Secondly, potatoes—mashed and candied. In the U.S., mashed potatoes became a staple in the 1700s, and as early as 1747, Americans were eating them regularly for the feast. Candied yams, however, didn’t pop up until 1880 when American cookbooks really began to spread the marshmallow-y recipe. At Gardenuity, we’re really into fresh foodstuffs. So, the traditional candied yams and green bean casseroles don’t work for us. We’re referring you to several absolutely delicious and incredibly satisfying variants for vegetable side dishes that are fresh, fun, and often quite easy to create. First, these Green Bean Casserole Bundles omit the frozen stuff. These Brown Butter Mashed Potatoes and this Homemade Gravy takes the mashed potato to a whole new level. Try a new take on candied yams with these gooey Melting Sweet Potatoes. Onto the good stuff. Let’s talk about PIE. Mostly, pumpkin pie. By the 1500s, pumpkin had been introduced to Europe. So settlers cultivated pumpkin from their earliest years in the New World onward. 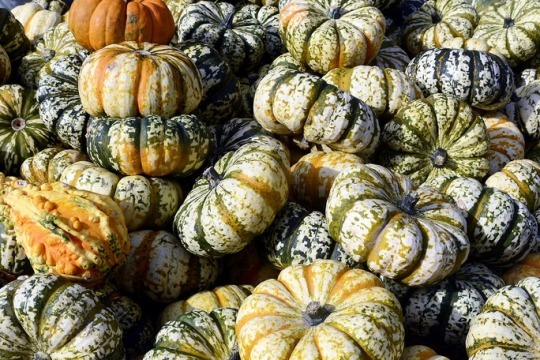 The dessert version of this vegetable showed up in Thanksgiving tradition in the early 1800s. By the 1870s, it was inseparable from the feast. 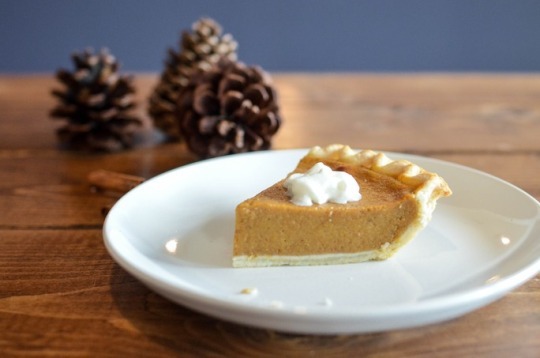 We assume you have your own family-favorite pumpkin pie recipe, so try these great takes on the classic for a sidekick. These Pumpkin Pie S’mores sound incredible, as does this Pumpkin Cobbler. Fall is apple season. And apples mean cider. Cider was actually the national beverage at one point. Americans drank it like water—literally. Massachusetts colonists in 1767 drank about 35 gallons of apple cider per person. They thought it was healthful and safer than water. (A statement which has now been proven absolutely false.) This was particularly true of New Englanders since apples grow so well up there. You have to be willing to be in it for the long haul, but we encourage you to try and make your own this year! It’s absolutely divine. Here’s a good recipe. 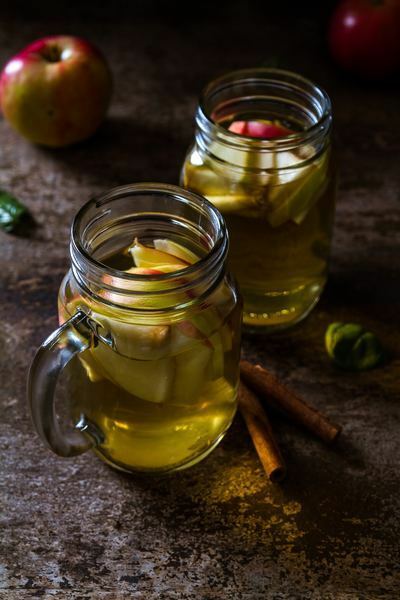 If you want an extra zing to your cider (and don’t want to make your own), here’s 13 delicious Apple Cider Cocktails are meant for Turkey Day. Okay, so we know you can’t eat this tradition, but it’s a must-have. (And its history is actually really interesting.) Every year, my family cracks the wishbone from our turkey. I have many fond memories of snapping the wishbones with various siblings. Turns out, this tradition dates waaay back—thousands of years back. It comes from a variety of ancient civilizations. We got it from the English, who got it from the Romans, who were inspired by the Etruscans, who actually took the tradition from Ancient Italian civilizations. In the olden days, people thought birds were oracles and thus could predict the future. So they’d take the bones from the birds to divine truths—wishbones were made for wishing upon. Hence, their name. This Turkey Day, go the extra mile to make sure these traditions stand strong! But don’t be afraid to mix it up and keep it fresh. In any case, every Thanksgiving is full of fabulous traditions to celebrate with loved ones. And the wide-breach and longevity of these traditions are an indication of how much we love the things we celebrate on this holiday, especially our family, friends, and communities. 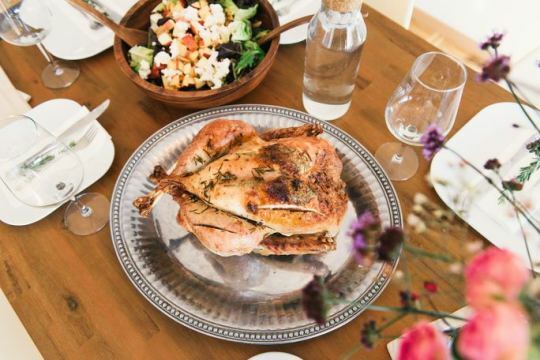 Share your Thanksgiving feats with us on social media! We can’t wait to see what you’ve cooked up this year for your all-American feast. November 21, 2017 by Corinne L.